The Montreal Protocol, the international treaty adopted to restore Earth’s protective ozone layer, has significantly reduced emissions of ozone-depleting chemicals from the United States. In a twist, a new study by NOAA and CIRES scientists shows the 30-year old treaty has had a major side benefit - reducing climate-altering greenhouse gas emissions from the U.S.
What started out as a modest research project driven by scientific curiosity provided the agency that would later become NOAA with some of the first insights into how ozone was distributed in the atmosphere. Patrick Cullis of the GMD Ozone and Water Vapor Group, created a video of a weather balloon bursting, posted at Washington Post. The NASA Pacific Oxidants, Sulfur, Ice, Dehydration, and cONvection (POSIDON) Experiment is a focused airborne science mission to study the ozone distribution, sulfur chemistry, very short-lived ozone depleting species (VSLS), cloud microphysics, and dehydration in the tropical upper troposphere and lower stratosphere over the western Pacific. A deep sea fishing rod is probably not the first tool that comes to mind when thinking about how to study air pollution in a remote inland desert, but it’s the heart of a new NOAA system that has given scientists a minute-by-minute look at how quickly the sun can convert oil and gas facility emissions to harmful ground-level ozone. Robert (Bob) D. Evans of ESRL Global Monitoring Division receives the prestigious IO3C Farman Award Nomination For Sustaining a Long-term Inter-calibrated World-wide Dobson Total Ozone Observing Network. The "Joseph C. Farman Award" is granted to one or more outstanding scientists who have created and used high-quality, long-term time series of atmospheric measurements related to the study of atmospheric ozone and/or surface ultraviolet radiation. The Atmospheric Tomography Mission (ATom) is a NASA-funded multi-agency effort using the NASA DC-8 research aircraft to systematically sample trace gases and aerosols from sea level to the stratosphere on 10 pole-to-pole flights covering the Atlantic and Pacific oceans over the next 3 years. 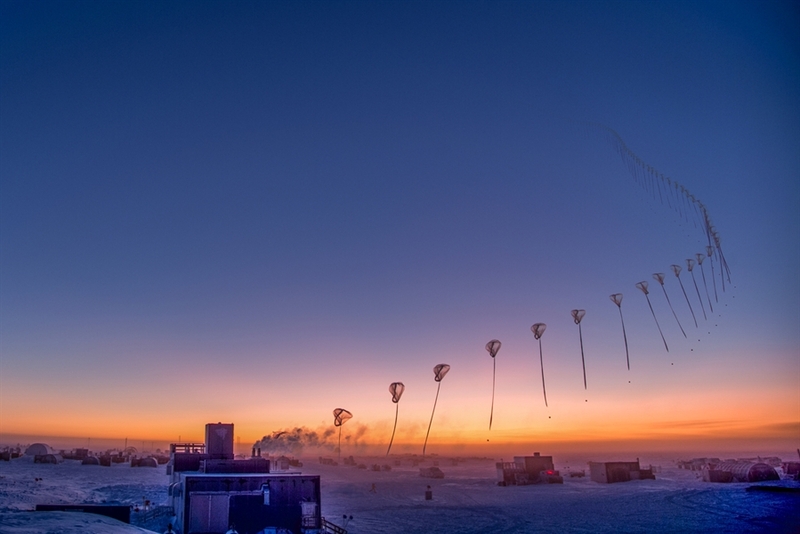 ATom will study the impact of human-produced air pollution on greenhouse gases and on chemically reactive gases in the atmosphere with a focus on ozone, methane, and black carbon, as well as atmospheric particulate matter. 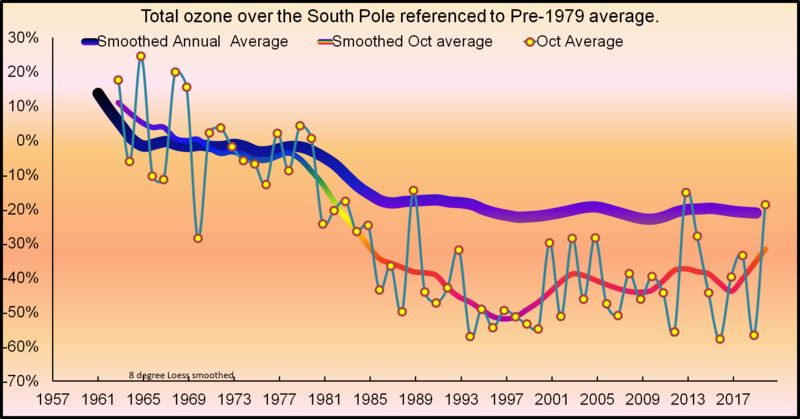 The Antarctic ozone hole, which forms annually in the August to October period, reached its peak size on September 11, stretching to 9.3 million square miles (24.1 million square kilometers), roughly the same size as last year’s peak of 9.3 million square miles (24 million square kilometers) on September 16, 2013. This is an area similar in size to North America. The first science flights of the NASA Global Hawk UAS in the winter portion of the Airborne Tropical TRopopause EXperiment (ATTREX) are set to begin the week of 28 January 2013. Six science flights from Edwards Air Force Base, California are scheduled. The UAS experimental payload includes two NOAA/ESRL instruments measuring water vapor, two measuring ozone and one measuring methane, nitrous oxide, hydrogen, and sulfur hexafluoride. Five NOAA/ESRL and six CIRES scientists are at the NASA Dryden facility supporting the missions. 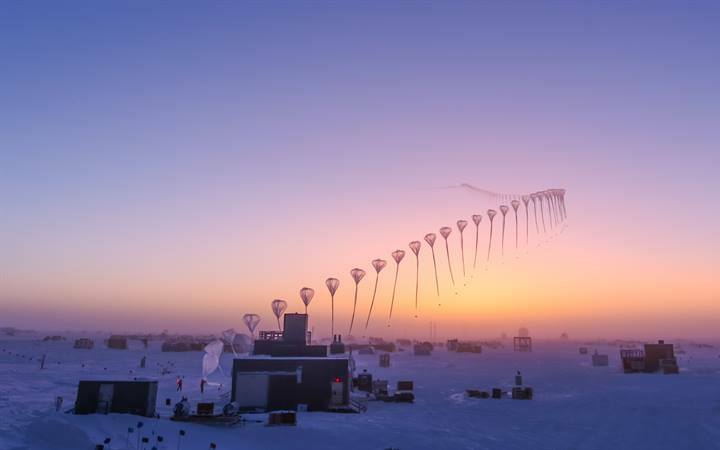 NOAA Scientists and colleagues from the Utah Air Quality Division, the NOAA Cooperative Institute for Research in Environmental Sciences at the University of Colorado , and several other institutions launched the Winter Ozone Study in the Uintah Basin. 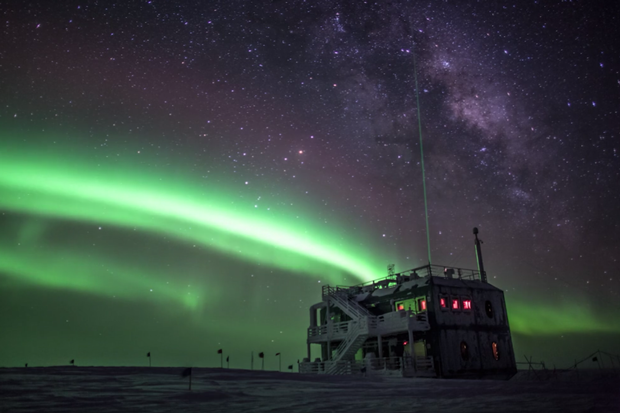 The team is studying the basin with chemistry instruments for six weeks, to understand where the ingredients of ground-level ozone are coming from, and how wintertime temperature inversions and snow on the ground contribute to record-breaking ozone levels. 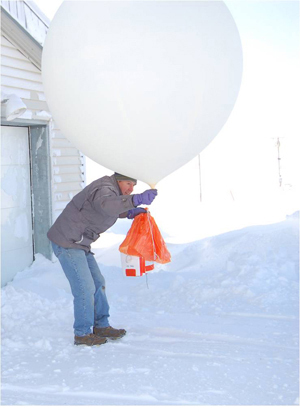 Bryan Johnson is an atmospheric scientist at NOAA's Earth System Research Laboratory who specializes in ozone research. He has a bachelor's degree in chemical engineering from Montana State University, but after two years working in the oil industry he decided to shift gears. He went on to graduate school and earned a master's in meteorology from the South Dakota School of Mines and Technology and a Ph.D. in atmospheric sciences from the University of Arizona. His current research at ESRL in Boulder, Colo., focuses on monitoring atmospheric ozone and estimating rates of ozone depletion across the globe. And he gets to use really big balloons to do it.